Why we like this fish ? 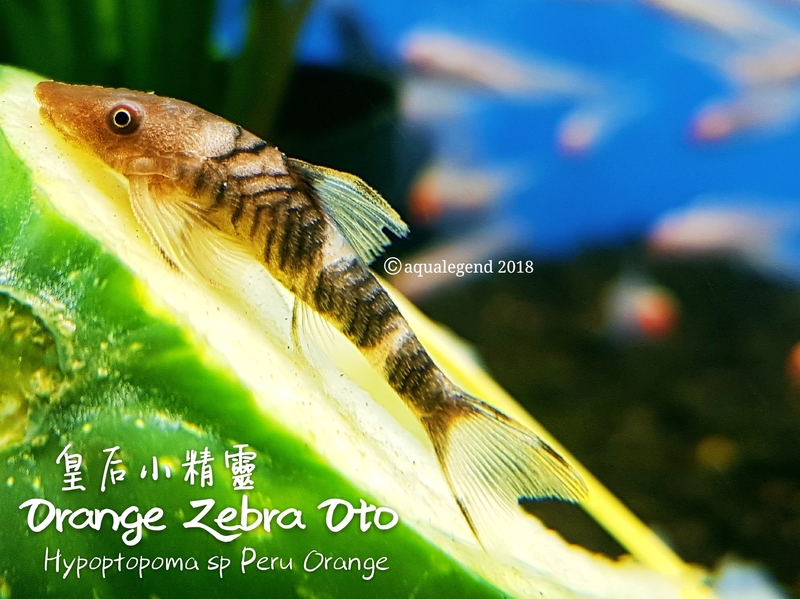 A beautifully and distinctively marked relative of the common Otocinclus, the Orange Zebra Oto inhabits Peru’s upper Rio Nanay, where it spends most of its time grazing on submerged driftwood and vegetation. An ideal algae eater for most community or planted aquariums, they will eat filamened algae and diatoms from most surfaces, including the aquarium glass. Like most of their close relatives, they are best kept in groups. Diet: Algae grazer and omnivore. Should be fed a primarily vegetable based diet.